I really enjoyed all of Anthony Bourdain’s work on Parts Unknown and what I have seen of No Reservations. Maybe not the most informative JRE episode, but I appreciate the honest discussion in this episode. I think anyone could learn something by watching Bourdain’s body of work. A lot of new shows on Netflix try to emulate his style, in my opinion. It’s really not an episode for an “informative podcasts” post, but oh well, it’s my blog. If you enjoyed Anthony Bourdain’s work, Joe Rogan had Morgan Fallon, DP, director, and producer on “No Reservations” and “Parts Unknown” with Anthony Bourdain on his podcast recently. Otherwise known as the “Iceman,” Wim Hof is a Dutch multiple world-record-holder, adventurer, daredevil, and developer of the Wim Hof Method. Crazy, right? While the efficacy of Wim Hof’s method is hotly debated, he has spent a considerable amount of time getting science to recognize it’s potential. I have tried this method in the past and it did keep me warm, but it also may have been a total placebo or because I was hyperventilating like some creep. Either way, I’ll take it. Wim Hof also came back in episode #865. I would suggest starting with #712, and if you get the itch for more, then go with #865. When it comes to obesity, dietary fat is the main culprit, right? I still love my sugar water, but now at least I slightly more guilty each time. Basically, this podcast is fat = good, sugar = bad. But check it out because it is loaded with great dietary information and some discussion about misinformation regarding dietary cholesterol’s effect on heart disease. This is also a theme of JRE episode #1058 with Nina Teicholz, author of “The Big Fat Lie.” Check that out one out too if this topic interests you. 12. Neil deGrasse Tyson – #919 and #310. This goes without saying, but the world’s leading science communicator has been a prominent guest on JRE and has not disappointed on several occasions. Did you know that the World Health Organisation in 2015 classified any form of night-time shift work as a “probable carcinogen“? One fact that surprised me was that after just one night of only four or five hours’ sleep, your natural killer cells–the ones that attack the cancer cells that appear in your body every day–drop by 70%. Matthew Walker also discusses the link from lack of sleep to bowel, prostate, and breast cancers. 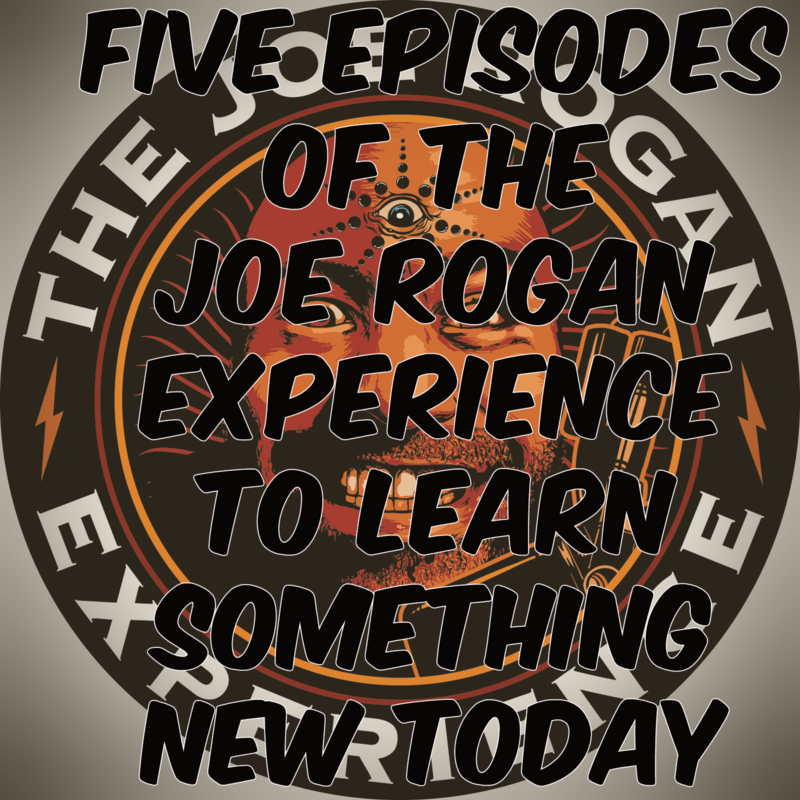 This has been one of the most interesting episodes of the Joe Rogan Experience I have listened to so far. Out of any JRE episode, I have listened to, this episode has had the largest impact on my personal habits. I am one of those people who needs at least 7 hours to feel functional, and since listening to this podcast I have made sleep more of a priority than it used to be. This episode is iconic for several reasons. I appreciate how long Elon Musk takes to answer questions in this episode. The discussion itself is very interesting, ranging from Tesla and SpaceX to the upcoming developments with Neuralink. The two also talk about flying cars and other developments with the Boring Company to reduce automobile traffic. One particularly interesting part of the episode is when Elon Musk warns about the future of AI and humans. As always, let me know you think! Did I miss any episodes or guests that you found interesting? Please subscribe and drop me a comment to tell me! Law student, productivity buff, blogger, flow-seeker. Loves the outdoors and coffee. Enter your email address to receive Lawptimal updates by email. What is #YachtCocaineProstitutes and why is it trending on Twitter? Subscribe to receive Lawptimal updates! Enter your email address to subscribe to Lawptimal and receive updates by email.